2) When cleared, the removal of all redundant service and physical elements and forming a mezzanine floor within the vacated double height space in the JWNC. 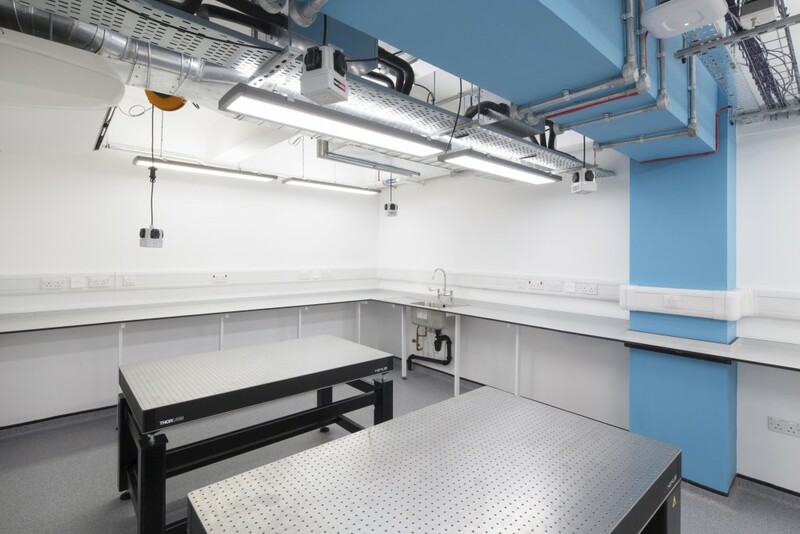 This mezzanine floor allowed the development of the cleanrooms on the lower ground floor and new offices, plantrooms and laboratories on the mezzanine level. 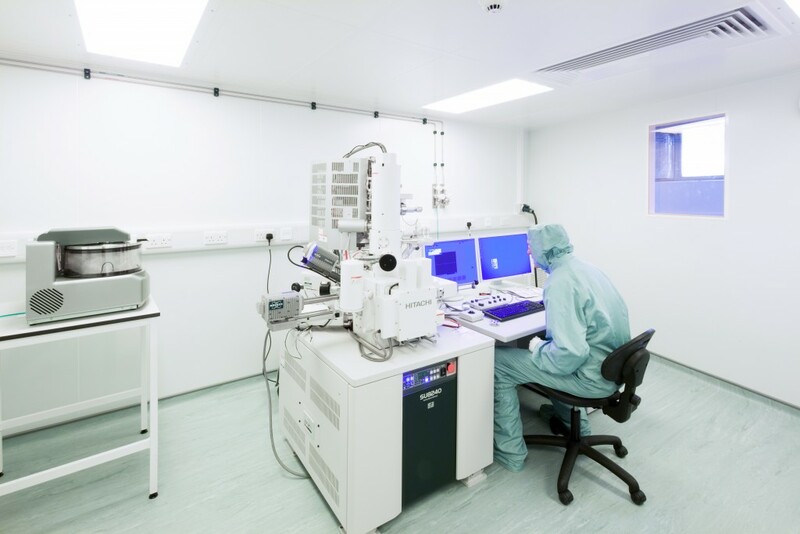 Due to funding criteria, the clean rooms and industry spaces proceeded as separate projects. The JWNC building was an existing facility with a long history of remodelling and alteration therefore there were significant service and spatial constraints imposed. The project timescales were extremely tight as they were tied to a funding award which came with rigid project delivery dates. This constraint was to influence the whole nature and delivery of the project. 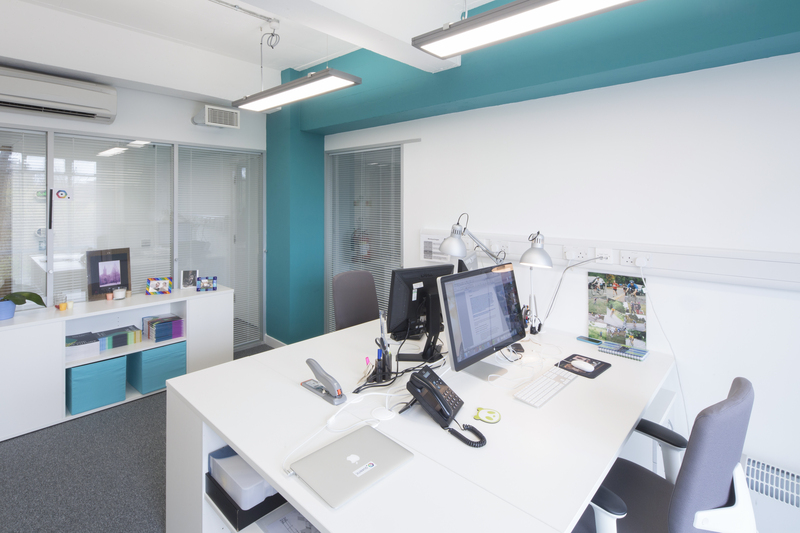 In order to clear the JWNC workshop for redevelopment, a new space had to be created in another building, however, the timescales dictated that the redevelopment could not wait until the new space was ready. A temporary decant need resulted, which led to move management of individual items of machinery to different temporary locations which were prepared and serviced. Once the new space was ready for occupation, these items were then relocated to their final positions. The vacated double height space was cleared of existing obstructions and services and a mezzanine floor constructed. Storey heights were finely balanced and no margin for error existed. The cleanrooms were to accommodate the new tools and each required individual plant such as pumps, process extract and abatement systems. 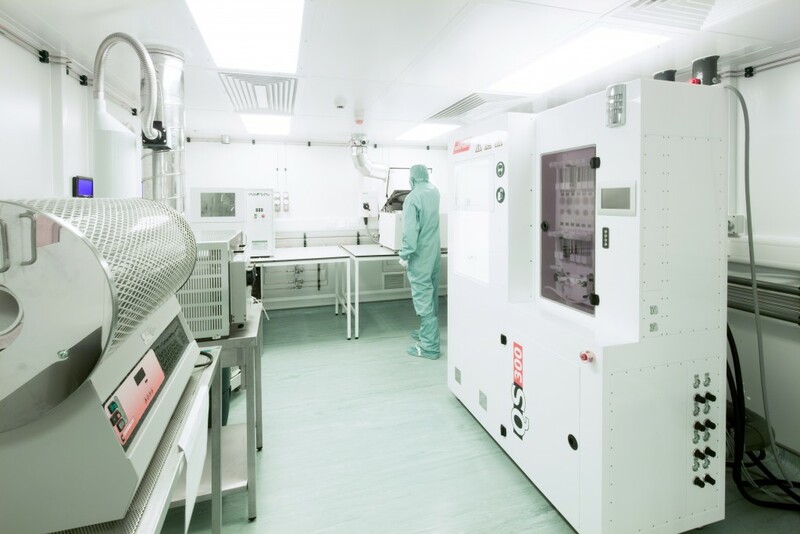 In addition, details of the particular tools intended for the cleanrooms were not available until late into the project due to procurement issues. The formation of the new Industry Innovation space on the new mezzanine floor had to relate to existing circulation levels on a heavily trafficked corridor. As there was the need to create sufficient ceiling void space for the clean rooms below, the new floor level was some 1100mm above the existing upper corridor level. Consequently the corridor floor level was increased and stair lifts installed. This installation has been found to be very successful and provides a significant increase in facilities and capacity for highly specialised use.